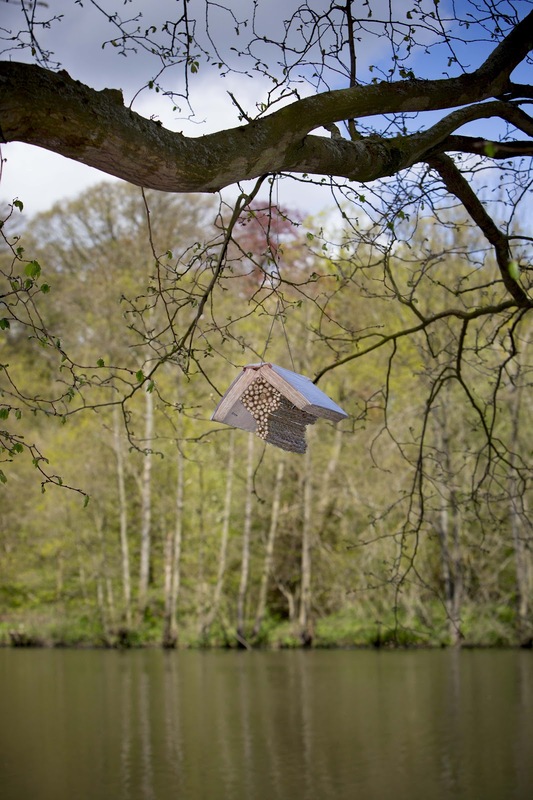 Are Bees & Beehives Useful Philosophical Metaphors? A six-month discussion series at the Literary & Philosophical Society, Newcastle-Upon-Tyne, July–December 2013. A report by the group-leader, Peter Tooth. In our first meeting we soared high amongst the cosmic clouds of metaphysical and religious speculation with Leo Tolstoy’s panegyric, in War and Peace, to the natural interrelatedness and awesome mystery of all life and history, as well as Rudolf Steiner’s powerful sermon in his first, 1923, “scientifically spiritual” lecture on Bees, that the chastity of the female worker bees in the honeybee hive is a glorious demonstration of the cosmic working out of love and soul and that, when we humans eat honey, we are partaking of vital restorative spiritual and organic health chemistry. Naturally (? *), there was much skeptical reaction to such anthroposophical certainty. The Hive: The Story of the Honeybee and Us (2004) by the wonderfully and aptly named Bee Wilson, brought us firmly down to earth by questioning the basic assumption throughout man’s history of imputing a sacred status to the honeybee by virtue of its apparent chastity and by its prolific production of seemingly miraculous honey—the gift of the Gods to man. In particular, the very notion of “natural” was philosophically highlighted and questioned and this would prove a rich theme of discussion over the ensuing five discussions. It was all most curious and a little salacious! 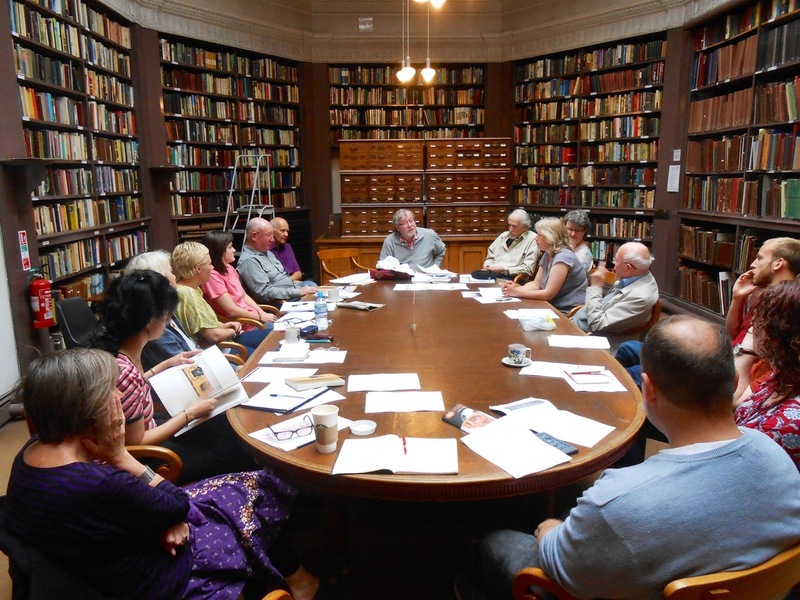 In August, our numbers had been swelled by the addition of the NPS regular group, Philosophical Explorations, led by Jonathan Kingham, and we bravely tackled metaphysics/ontology, art and aesthetics, spirituality, Rudolf Steiner, Joseph Beuys and bees! 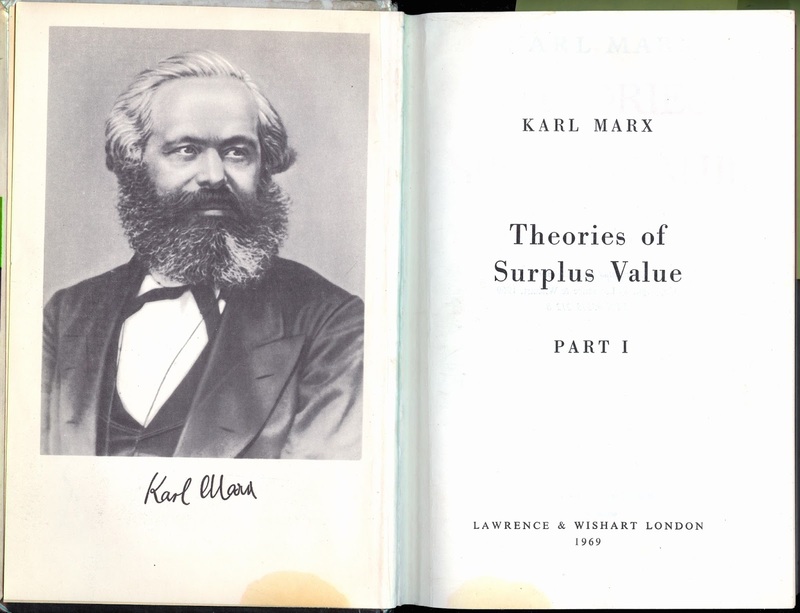 We also attempted to define, via Professor Joad’s seminal 1944 Teach-Yourself series book, Philosophy, exactly what might be meant by both metaphysics and aesthetics—the latter an often-neglected but highly important subdivision of the former. This, inevitably, led on to the related question of ontology and we were soon engaged by the question of whether there were any truths applicable to all existing things. The fundamental duality that Plato uncomfortably bequeathed to philosophy—and that was to so occupy and vex our later attention in the following months—between ultimate reality and ideal Forms in contrast to familiar, natural and inferior daily phenomena--quickly arose and defined the template for our consideration of art and aesthetics, both traditionally conceived via Plato’s Theory of Imitative or Mimetic Art and the postmodern avant-garde art movement. 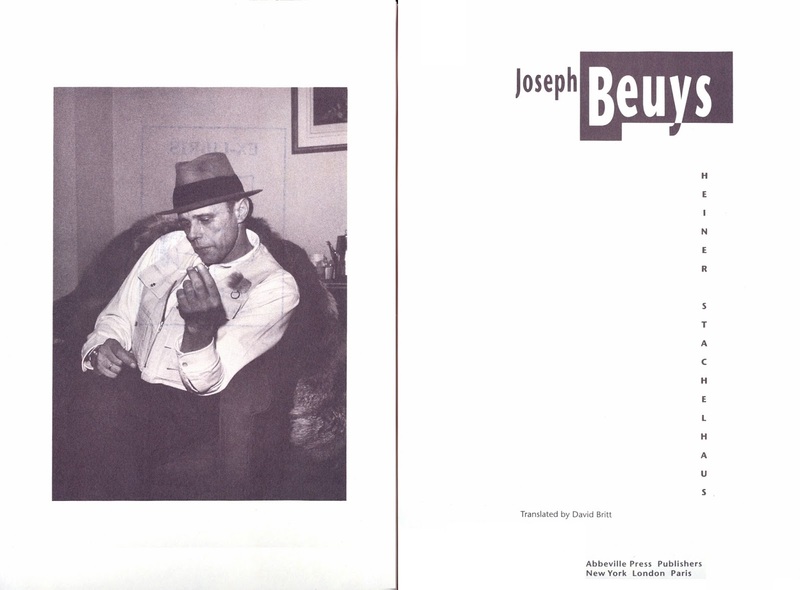 I cited Arthur Danto’s 1964 influential essays in this regard and tried to show, via articles and exhibition photographs, how much the artwork and polemical philosophy of the artist Joseph Beuys reflected both this conceptual advance but also referred powerfully and consciously to Rudolf Steiner’s Anthroposophical theories. 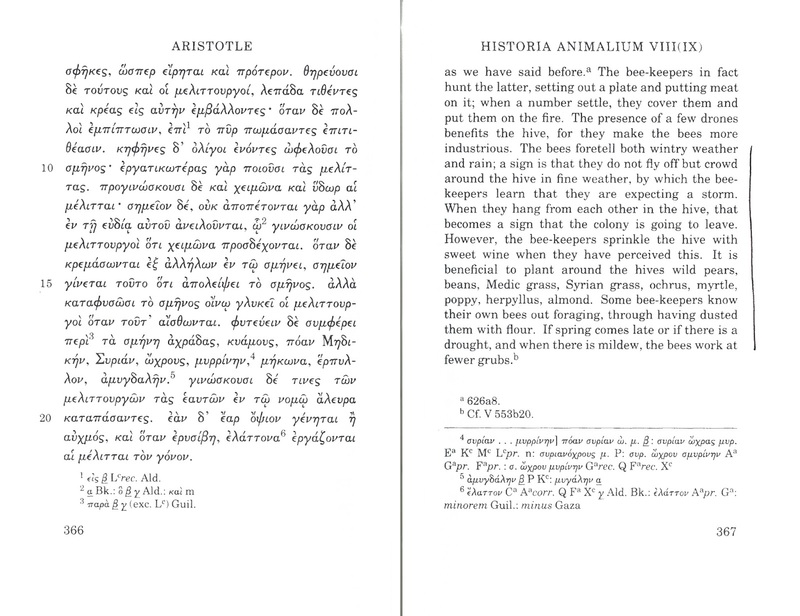 In September, we concentrated on “Plato, Poetry, Poison and Patriarchy” and the Ancient Greek tradition of lyrical and dramatic poetry as constituting sweet and glorious articulation or “honey-voiced” inspiration. In some detail, I demonstrated just how much Plato challenged and reversed this tradition in The Republic, thereby demoting all poetry as indulgent and feckless and thus he banned it as being unworthy from his proposed utopia. 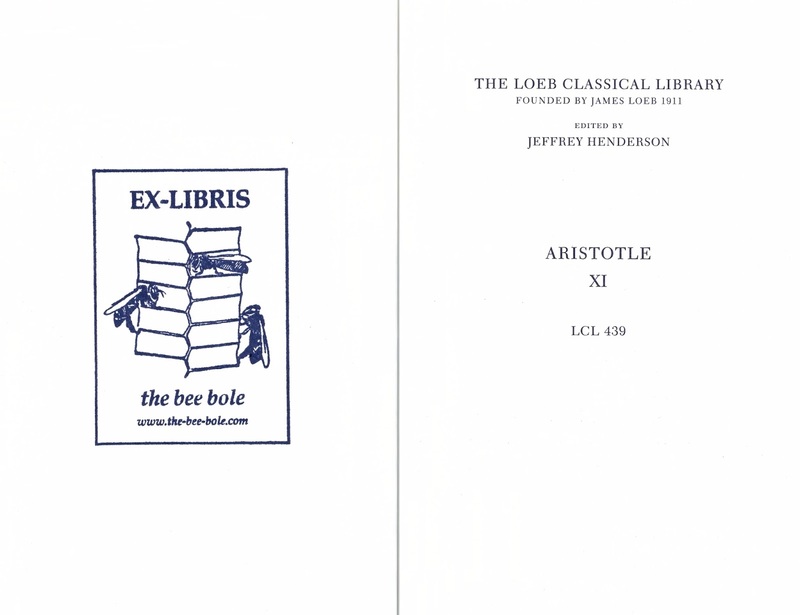 In so considering, we also spent much time discussing the misogyny expressed by all such ancient poets, including both Plato and Aristotle, who formed their harsh views of women by erroneously and egregiously referring to pre-scientific notions of the work and social habits—and sexual hierarchy--of the beehive. Such discussion raised many an eyebrow as I read out one particularly damning “satire” by the ancient poet Semonides – and not all of these were female, by any means! Joel, however, thought I was over-emphasising such lyrical misogyny by rather overlooking the literary satirical angle. We concluded a highly involved and entertaining group discussion by my introducing the concept of epistemology, archiving, and bees, via documents from a special 2005 exhibition entitled The Revolt of the Bees: Wherein the Future of the Paper-Hive is Declared, held at the Rare Book and Manuscript Library at the University of Pennsylvania, further analysis of which, however, had perforce to be postponed to a later session. We then picked up on this epistemological thread during October’s fascinating group discussion on bees and consciousness and intelligence – a topic which, and certainly as our wide-ranging and deep discussion duly showed, is quite impossible to justly summarise (see that month’s material and summary on the discussion blog pull-down menu). Nevertheless, and briefly, our concern was with the possibility – or rather, otherwise – of a person being able to successfully inhabit another organism’s body and thereby live, as Merlin says in T. H. White’s The Sword in the Stone, in two planes at the same time. We also concerned ourselves with the latest scientific evidence revealing how honeybees use their entirely different sensory and biological equipment to negotiate their environment successfully, and thus appear to us to demonstrate a certain degree or dimension of thinking, learning and, possibly, “consciousness”. Such differing olfactory honeybee skills are currently being utilised both for bomb-sniffing operations and medical disease-detection kits. 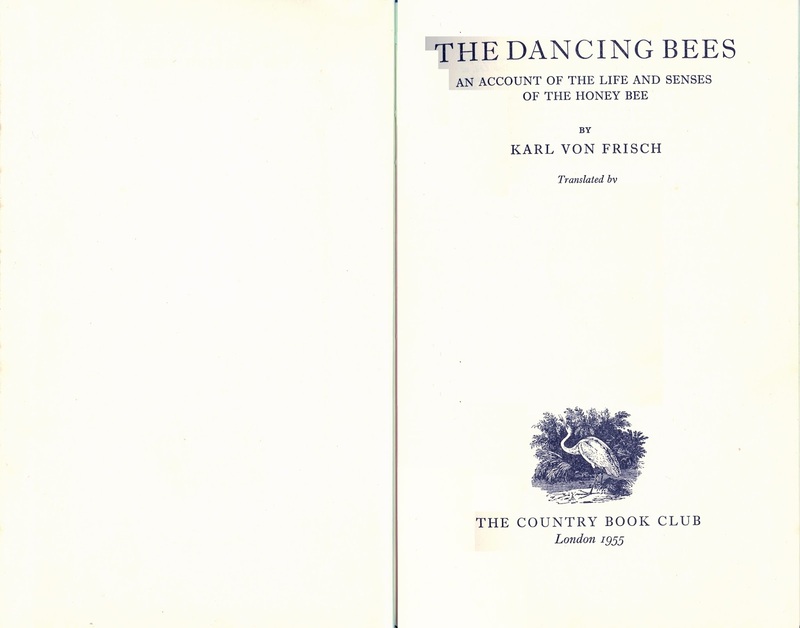 However, any notion of a shared perception with humanity was quite contradicted by “the famous and startling experiments [1949 and after] on bees by Karl von Frisch – especially in connection with their mutual communications via their dancing routines and chemical exchanges. A more recent (1997) article by Michael Tye, 'The Problem of Simple Minds: Is There Anything It Is Like To Be A Honey Bee?' plus the seminal 1974 philosophical article Thomas Nagel, 'What Is It Like To be A Bat?' were heavily drawn upon in the discussion—but I also introduced, by way of contrast, a serious recent Australian radio discussion based on the thoughts of Aristotle on souls, on whether plants think or not. Boris, our pet Venus Fly-Trap that we brought along for Show-and-Tell, was a huge–but mute–help in this regard. 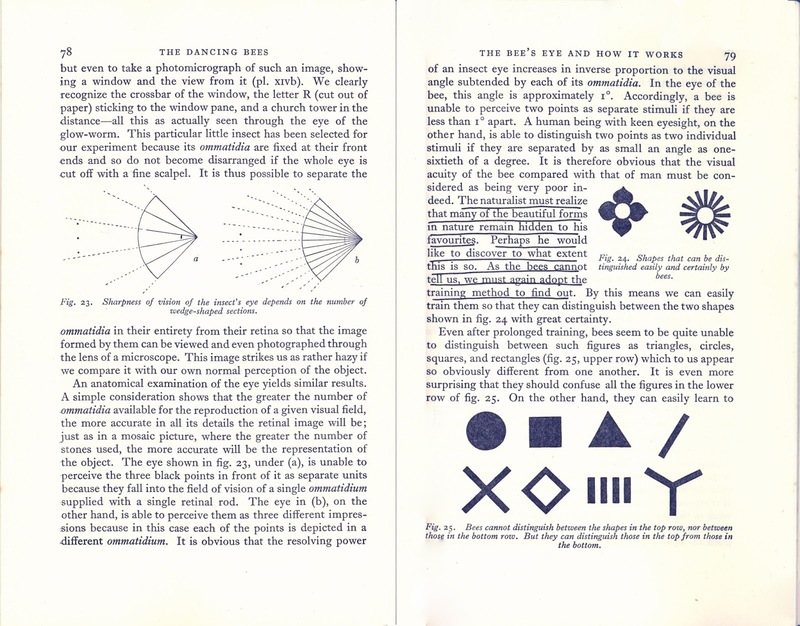 We also returned to another lecture by Rudolf Steiner in his 1923 'Bees' series to illustrate the striking, non-human visual perception of bees, in relation to ultra-violet and infra-red light, and to colour identification. Finally, I also briefly mentioned a recent and highly informative article, entitled 'Learning and Memory in Bees' by Randolf Menzel and Jochen Erber, which elucidates the neural basis of the programmed behaviour of bees which enables them to learn quickly and then to remember, for long periods, the colour and the odour of flowers that yield them nectar or pollen. Such neural processes, remarkably, it seems, are quite similar to that used by us all. Nevertheless, I posed, without verbal language, can we ever really know them? Unfortunately there was not sufficient time, by the end, to discuss this vital role in consciousness and mind-body problems of verbal language; nor were we, as things turned out, ever able to return to this fascinating issue as originally planned, via a presentation by Jack, on the French psychologist Lacan. The final two sessions in November and December on bees and economics and ethics and socio-political systems – including utopias – consisted of much debate over whether or not cooperation serves Darwin’s theory of evolution better than the usual interpretation of competition and the survival of the fittest mantra. I introduced a global and entomologically scientific viewpoint on the vast number of the other species of bees that are not honeybees and are, in fact, solitary, and thus are not, in any meaningful way, cooperatively social. 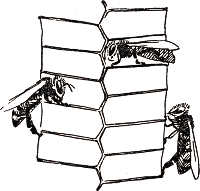 I also took pains to explain the detailed genetic explanation, by W. D. Hammond, concerning the peculiar role played by haplo-diploidic honeybee reproductive behaviour in ensuring evolutionary advantages – none of which can, however, be seen as “altruistic” or “self-sacrificing”. 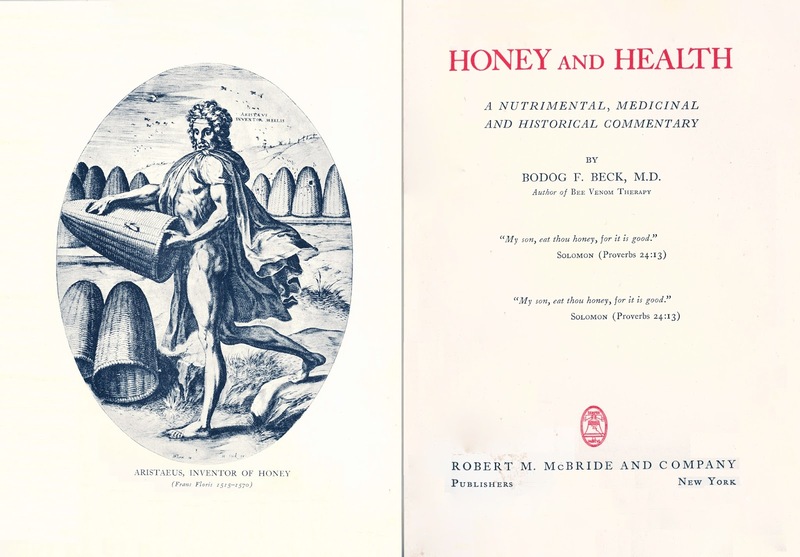 I wrapped up the entire series by reluctantly yet also firmly expressing the view that modern scientific discoveries have indicated the following: that (a) the honeybee – historical, mythical, and folkloric imaginative speculation aside – is no useful guide whatsoever as a metaphor for philosophy: that (b) all anthropomorphic allusions to honeybees are false; and that last, but certainly not least, (c) the assumed historical and philosophical correspondence and analogy between so-called “nature” in bees and mankind is entirely unjustified.